So I mentioned a few weeks ago that I went to an unexpected concert when a friend of mine won Whitesnake tickets from a local radio station. 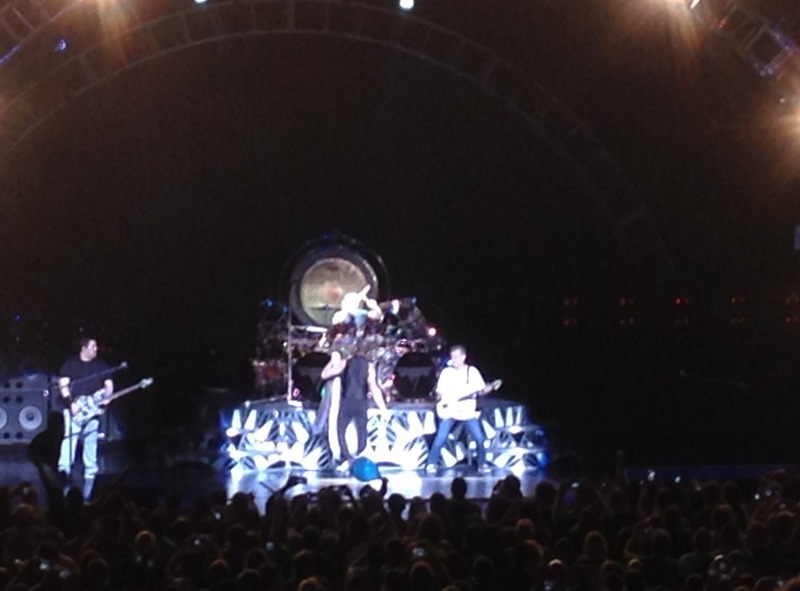 This past weekend, my wife and I went to Cuyahoga Falls, Ohio, near Cleveland, to see Van Halen’s 2015 tour. Unlike the Whitesnake show, this one was planned, and what a show it was. 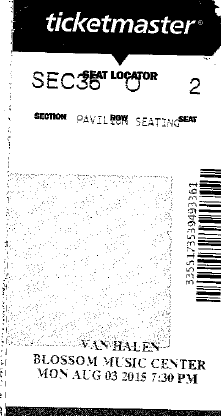 This was my 4th Van Halen show, but it was my first time actually seeing them with David Lee Roth. 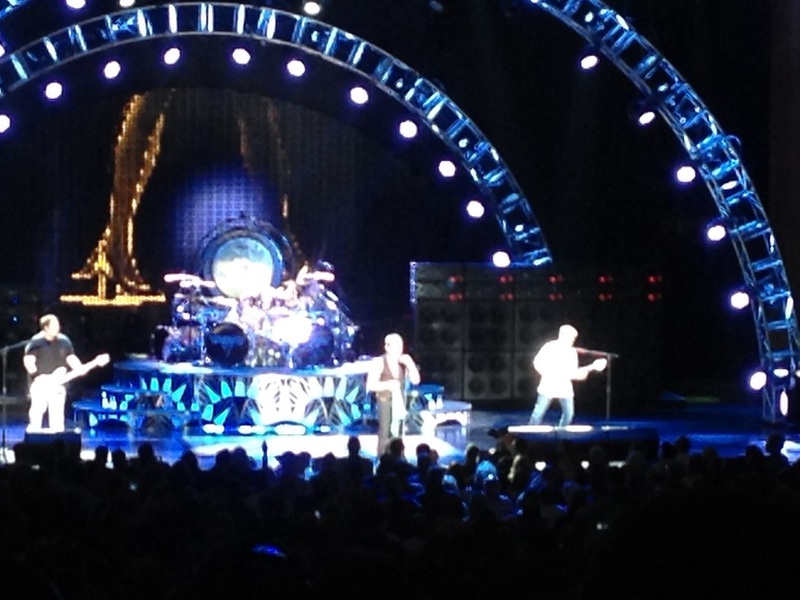 My wife had never been to a Van Halen show before, but she absolutely loved it. 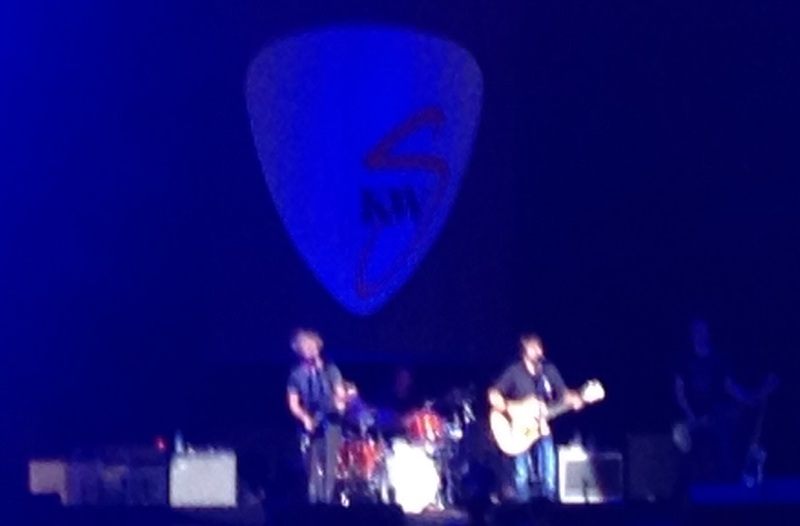 Kenny Wayne Shepherd was the opening act. I don’t own any KWS albums, but I’ve always appreciated his music, and especially his guitar playing. Everything they played was full of energy and sounded great. It made me want to go out and pick up at least a couple of KWS albums. As much as we enjoyed Kenny Wayne Shepherd, after his set was over, we were ready for Van Halen to take the stage. They came out about 20 or 30 minutes later and kicked things off with “Light Up The Sky”. From that point on, it was just a non-stop, energetic ride through a lot of the early Van Halen songs, along with a couple of the newer songs from A Different Kind of Truth. David Lee Roth told us about his Spanish heritage and how it affected Van Halen music more than we know, and although he was pretty obnoxious at times, he did keep things entertaining. 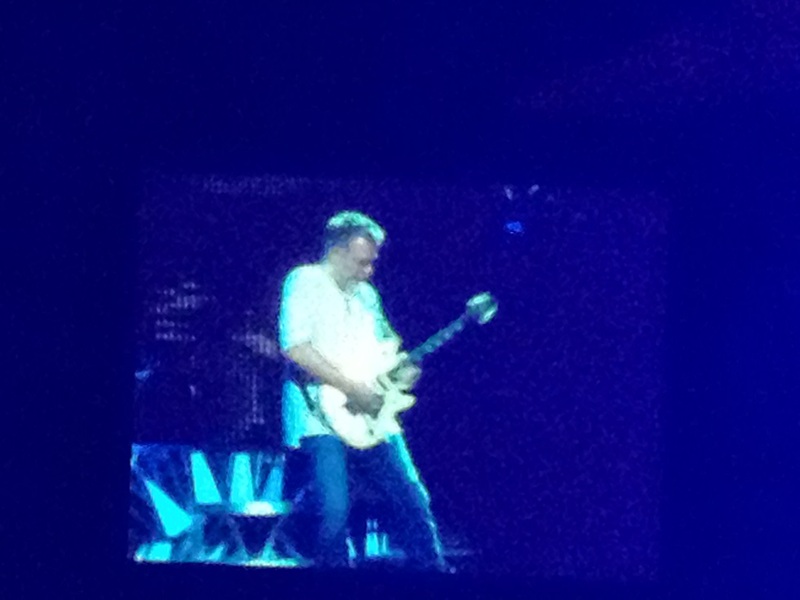 Although many consider Eddie Van Halen to be the patron saint of guitar, the white glow in the picture above just comes from the fact that he was wearing a bright white shirt while playing under bright white lights. As far as Dave’s wardrobe, he changed jackets about 743 times during the show, and cycled through a few of them twice. 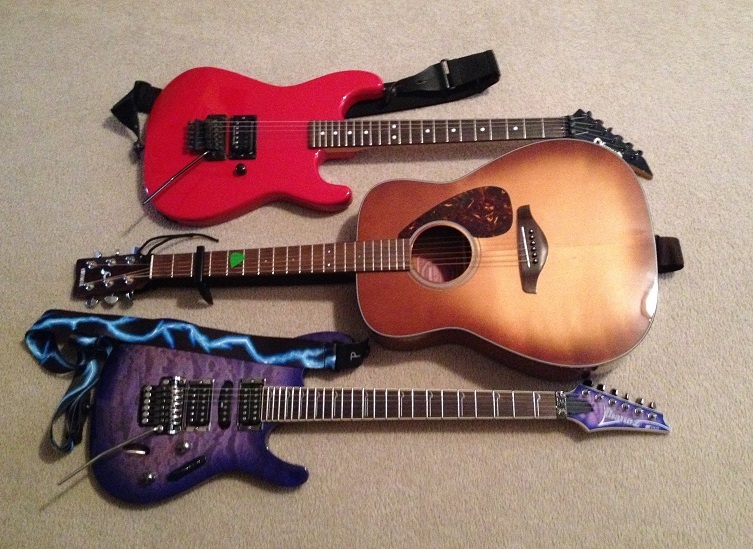 Thanks for reading about my latest concert adventure. They still have some shows left, and in fact I read that they’re adding extra dates due to demand, so if you’ve been thinking about going, I’d recommend it.